It is not unusual for little girls to be a heart breaker for young boys, and this girl is getting an awesome start. 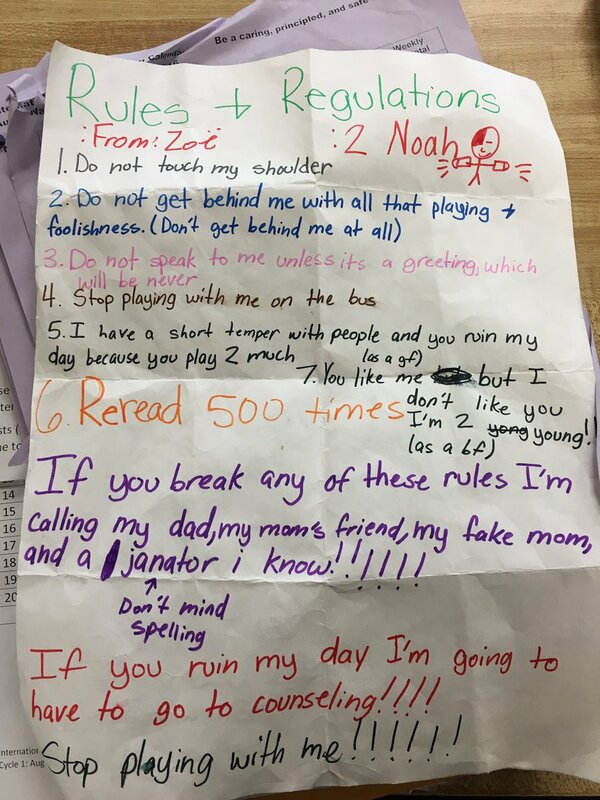 It was shared on Twitter when a young student named Zoe wrote a list of rules to a lovesick classmate. Although she is only in fifth grade, it is amazingly straightforward. Were not quite sure how Noah responded to this message, but we can only guess that he got the message loud and clear. Just reading down through it, including the instruction to “reread 500 times,” clearly shows that she is not somebody who is to be trifled with.